FREE Country Holiday Playlist Download From People! You are here: Home / FREEbies / FREE Country Holiday Playlist Download From People! 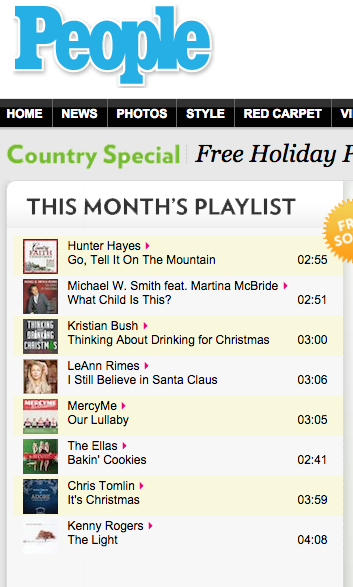 Get a FREE Country Holiday Playlist Download From People Magazine! Just head over here to get your code to download your iTunes Country Holiday Playlist from People Magazine!